For some people Valentine’s Day is just a normal and very commercial day, but for many others it is the day to exchange candy, flowers, and gifts between loved ones. But who is St. Valentine and why do we celebrate this holiday? 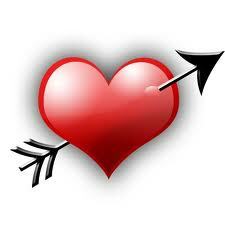 There are various popular and interesting legends of St Valentine's Day. One says that it originates from the Roman celebration called Lupercalia. According to Wikipedia, it was a very ancient, possibly pre-Roman pastoral festival, observed on February 13 through 15 to prevent evil spirits and purify the city, releasing health and fertility. Apparently men and women in Lupercalia drew names from a jar to make couples, and modern Valentine's letters originated from this custom. It says that this custom was combated by priests by replacing it with a religious custom of girls drawing the names of apostles from the altar. Over the centuries, the holiday evolved, and by the 18th century, gift-giving and exchanging hand-made cards on Valentine's Day had become common. 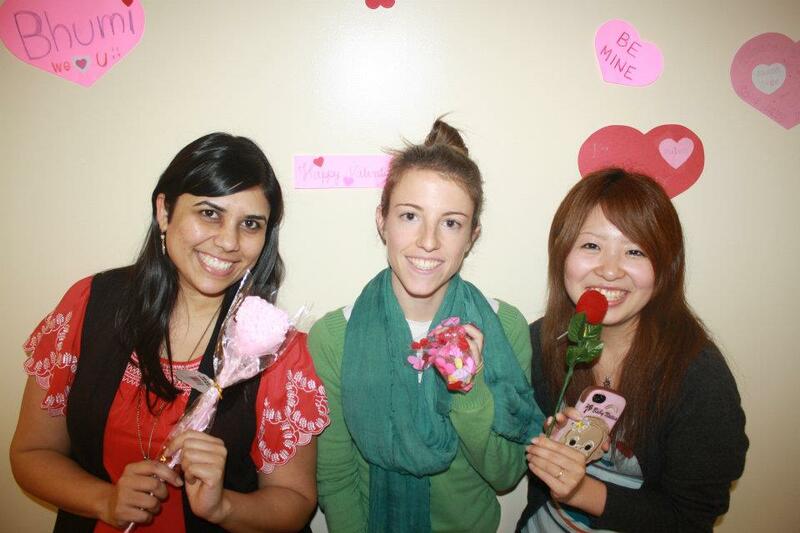 At Language Systems International we loooove Valentine’s Day, so this year each school had its own party. 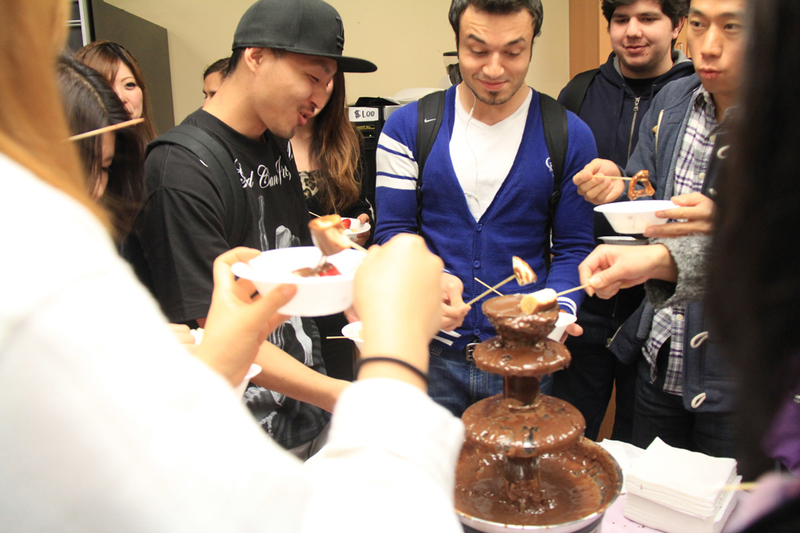 At LSI Los Angeles, students enjoyed music and a wonderful chocolate fountain with delicious strawberries, pretzels, marshmallows and bananas. Our Program Coordinator in LA, Ligia, held a huge heart balloon (which she referred to as her heart) all day to bring the V-day spirit to school! At LSI Alhambra and LSI Orange County they played the amazing Dating Game. Our PC in OC, Ty, and our teacher in Alhambra, Erber, did a great job as MCs of the “show” making students laugh and have a great time!!! The couples won movie tickets for their first date!!! 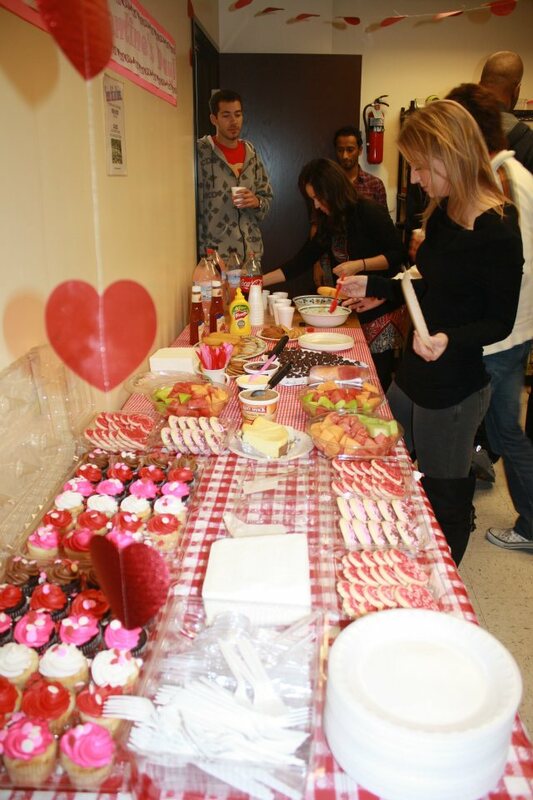 At each school students also enjoyed delicious pizzas, candies, heart-shaped cookies, etc. At LSI Torrance students pinned the Heart on The Teacher! The students were really excited about this game and they all wanted to participate. The winner s also got movie tickets! 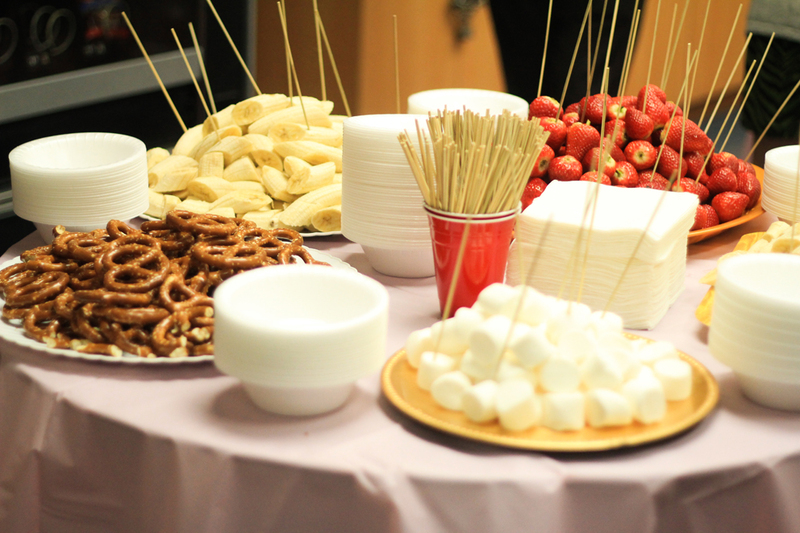 And all students enjoyed corndogs, cupcakes, cheesecakes, fruits, heart-shape cookies, sodas, etc. Approximately 150 million Valentine's Day cards are exchanged annually, making Valentine's Day the second most popular card-sending holiday after Christmas?